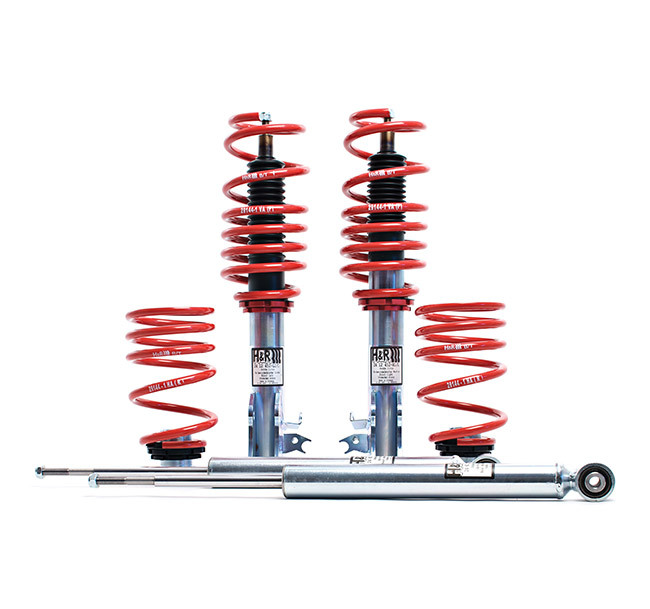 H&R Ultra Low Coil Overs are for the over-the-top enthusiasts who want extreme lowering. We suggest they be installed only by tuners who are familiar with the dynamics of ultra-lowered vehicles - issues such as fitting smaller tires and wheels, possibly removing fender liners, trimming fender wells, negative camber, etc. may need to be addressed. This kit is designed for show vehicles; Please consult with your installer before purchasing.